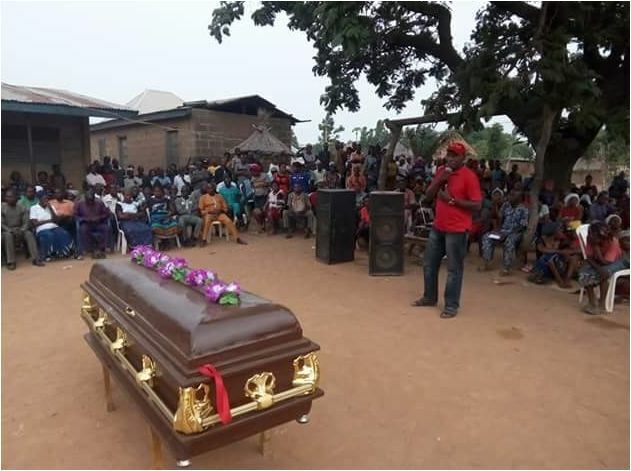 A chieftain of the All Progressive Congress, APC, identified as Amile Tsukwa, aka Newswatch, was brutally murdered by suspected Fulani herdsmen in Tombo Logo Local Government Area of Benue State. According to his brother, Paul Tsukwa, he was slaughtered in his farm, where he had gone to fetch firewood on March 31. Late Tsukwa was a one time Treasurer of APC in Logo. Until his death, he held other numerous post in the ruling party. 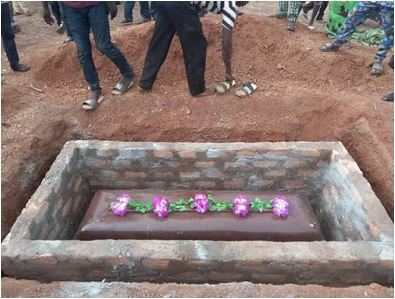 The remains of Tsukwa was laid to rest in his country home on Tuesday, April 3. ‘Another kinsman of mine was slaughtered in his farm. We are peasant farmers in Benue State. The rains are beginning to fall. But when we go to the farms, we are slaughtered. You can see that his throat was slit. He was killed like a chicken. He committed no crime. He was on his ancestral land, on his farm trying to eke out a living, to contribute in his little way to food security of the nation. His wife is now a widow and his children are fatherless. This is the 16th kinsman of mine to be so brutally murdered since January 2018. His name is Amile Tsukwa, aka Newswatch.